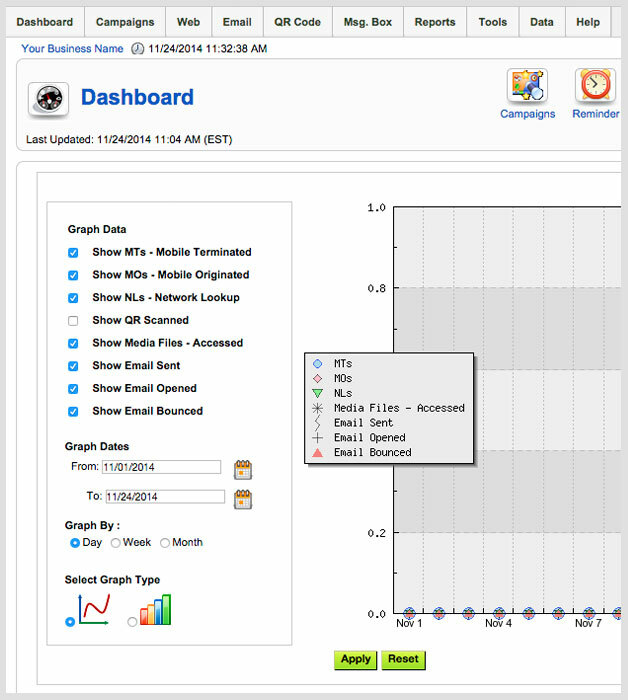 Your dashboard gives you an instant portal to view all inbound and outbound text activity. From this panel, you may also create new keywords, lists, campaigns … control your entire account! Below is a quick preview list of what you can do from your admin panel. Create keywords and keyword aliases. Make web optin forms for use on your website and social media pages. Edit your outbound auto-response messages. Run reports and see statistics. Manage your media and short-links. Update / Opt-Out records manually. Live-View of messages – create a two-way chat session with any user to answer questions! Setup Contests, Polls, Trivia and Data Collection campaigns.